Emile Ratelband. Photo: Roland Heitink/AFP/Getty. Most of us probably know someone who takes a little creative license with their age, shaving off a few months or years here and there. Playing fast and loose with your age is innocuous when it's just a few months, but what does it say when you mount a court case to seem younger? 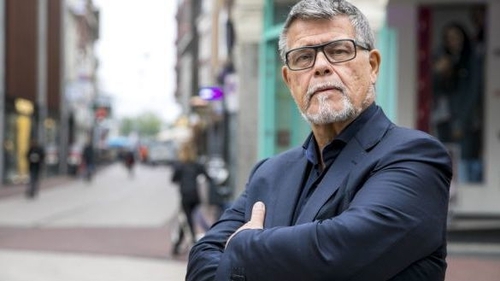 Dutch "positivity guru" Emile Ratelband (69) is mounting a legal battle to have 20 years removed from his age, comparing the request to identifying as transgender. Telling a court in Arnhem in The Netherlands that he no longer feels "comfortable" with his age, Ratelband is requesting that his birthday be legally changed from 11 March 1949 to 11 March 1969. Unlike the sly muddying of ages in generations gone by, Ratelband isn't concerned with vanity or acting out of insecurity. According to a Facebook post, he made his mind up on the matter while standing in front of the mirror one day, deciding that he must make the most of the years he has left, rather than worrying about how best to hide his age. He's also going through a dry patch on Tinder. Ratelband believes his age - which automatically appears on dating apps, where people can set age ranges for what partners they want - is negatively affecting his chances at love, despite doctors telling him he has the body of a 45-year-old. By his own admission, he is "a young god". "When I'm 69, I am limited. If I'm 49, then I can buy a new house, drive a different car. I can take up more work," he said. "When I'm on Tinder and it says I'm 69, I don't get an answer. When I'm 49, with the face I have, I will be in a luxurious position." According to stats for 2017, Dutch people aged 40-49 years old are the second-most active when it comes to online dating, with 37% dating online. People aged 30-39 years old were the most active, clocking in at 60%, while those aged 60 and over measured just 18%. The judge acknowledged Ratelband's comparison with newer laws relating to changing genders, saying "I agree with you: a lot of years ago we thought that was impossible". However, he urged Ratelband to see the philosophical and emotional debt of what he's asking, noting ""For whom did your parents care? Who was that little boy then?" Ratelband said that his parents were dead. Ratelband has assured the court that if granted his request, he would renounce his pension. Asserting that this truly is less about tangible gain and more about spiritual completeness, he added, "It is really a question of free will". The court is expected to rule on the case within four weeks. However, it's unclear if there are even legitimate legal mechanisms in place to allow the case to progress. The court's public prosecutor asked whether, if such a law was to be introduced, there would need to be health inspections in the future to accurately and professional gauge someone's "emotional age". Ratelband's lawyer, Jan-Hein Kuijpers, told the court: "There is also something like common sense, of course." While we wait, how many years would you legally remove from your age, if you could?